Last September 2018, Drink had the chance to work closely with Kick Fire Kitchen, a team of motivators, idea catalysts, and culture builders who kick start inner fires of organizations through high-energy and creative sessions, and inspire creativity & innovation through user-centered innovation and coaching. 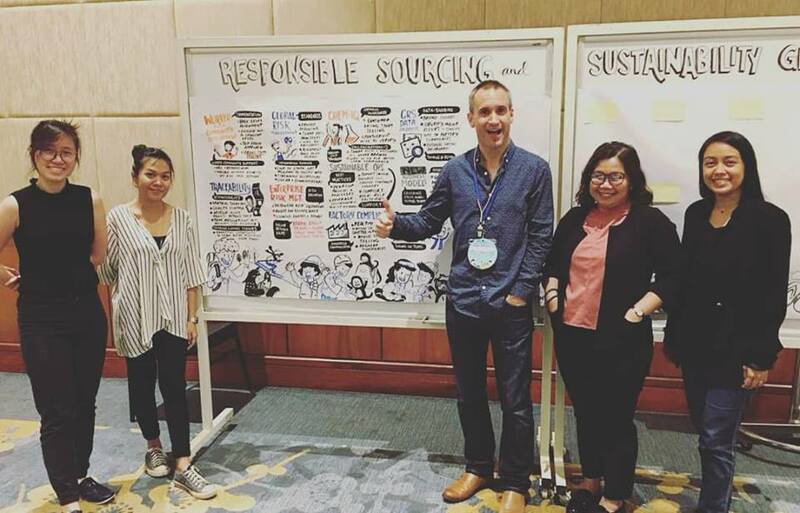 Drink and Kick Fire teams went to Hanoi, Vietnam to lead the facilitation of VF Corporation’s Responsible Sourcing and Sustainability Global Summit. As Kick Fire’s strategic partner, Drink supported Kick Fire in ensuring that the goals of the program are met, and in documenting the results of the sessions. VF Corporation outfits consumers around the world with its diverse portfolio of iconic lifestyle brands, including Vans®, The North Face®, Timberland®, Wrangler®, and Lee®. Founded in 1899, VF is one of the world’s largest apparel, footwear and accessories companies with socially and environmentally responsible operations spanning numerous geographies, product categories, and distribution channels.